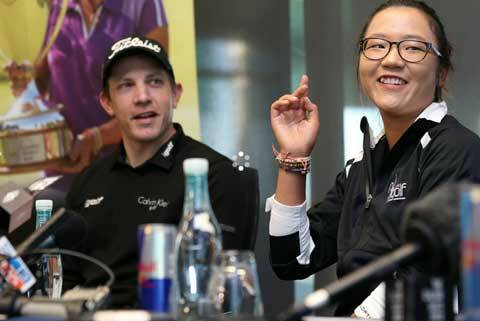 Everybody is interested to know when Lydia Ko intends to turn pro. And as I mentioned Monday, Lydia indicated after Evian that she might be a pro next time we see her. The network was running slow when I found this, so I haven't been able to watch it yet. (I'm still trying to stream it, even as I write this. I have managed to get it up enough to see that it's an 11-minute presser. UPDATE: I finally got to see the video. It's actually pretty funny! Lydia has a dry sense of humor.) At any rate, one thing is clear from the accompanying article... Lydia is getting tired of all the questions about when she's going to turn pro. Apparently she's more concerned about exams right now. As it happens, the news media doesn't give a damn about exams. Welcome to the world of pro sports, Lydia.